How to protect your home from fire? In your home, you should always feel safe. Whether it is a threat from kitchen fire or short-circuit, you need to prepare your inventory with smoke detectors, smoke alarms, and fire extinguishers. It is not common knowledge, but grease splatters are the most common causes of fires in Canadian homes. Research shows that households in Vancouver, BC, Canada face a threat from old heating equipment, indoor cigarette smoking, and electrical equipment. These are the four leading causes of home fires. For the safety of your family, pets, and neighborsit is necessary for you to invest in trusty smoke alarms. Always install them outside each bedroom and on each floor of the house. After installation, test them each month to see if they are working. You must carefully follow the instruction manual for regular cleaning and battery maintenance. 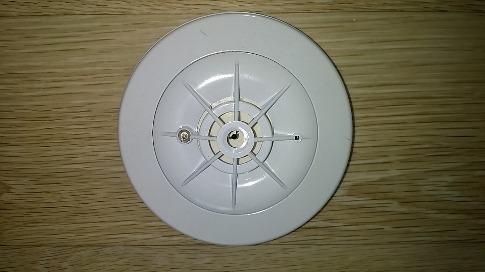 It is smart to replace your smoke alarms after every ten years. In the event of false alarms, always check the cause. Have an escape plan handy for your family members. Speak with your nearest fire protection systems inspection company for regular checks. A good company should be able to help you devise a home fire escape plan too. Fire extinguishers can be a little costly, and they might seem like overkill. However, Vancouver homes that have experienced splatter grease fires state otherwise. Those who have seen the fire starting from the kitchen know how fast it can spread. And those who haven't should not have to experience it at all! That is the reason you need to keep a trustworthy and scientifically approved fire extinguisher handy. Keep one in the garage, one in the kitchen and another one near an escape route. Remember to contact your fire inspection company in Vancouver to inspect them regularly. They should be in peak working condition at all times since disasters do not strike with a warning. If possible, run a thorough check out your home for counterfeit electrical appliances. People rarely expect their mobile chargers and laptop chargers to betray them. However, research shows that fake charger cables are one of the leading causes of fire from electronic items. Clean the lint from the clothes drier, empty the toasters, check for grease spills on the oven top and be careful about putting things inside the microwave. If you see an electrical appliance that is creating sparks at the plug point or a worn power cord, replace it immediately. Most homes have multiple extension cords. If you have them too make sure that they are not parts of the fixed wiring, permanent structure, hiding under radiators and other big appliances, running under rugs and supporting heavy objects. Take your time and ask for expert assistance while creating an evacuation plan for your family. If you are interested in celebratory fireworks and lanterns, speak with the local fire department in Vancouver and consult the fire safety inspectors in your area. Blouses designs: A little old is new this time! Do you hate spam emails?